There’s no ignoring it anymore: 2000s fashion trends are back. First there was the rebirth of logomania and jelly shoes, then UGGs refused to be left behind and now it seems like everyone from Kendall Jenner to Bella Hadid is channeling Paris Hilton’s The Simple Life-era wardrobe. And with that, we have the rise (or shall we say fall?) of low-rise jeans. 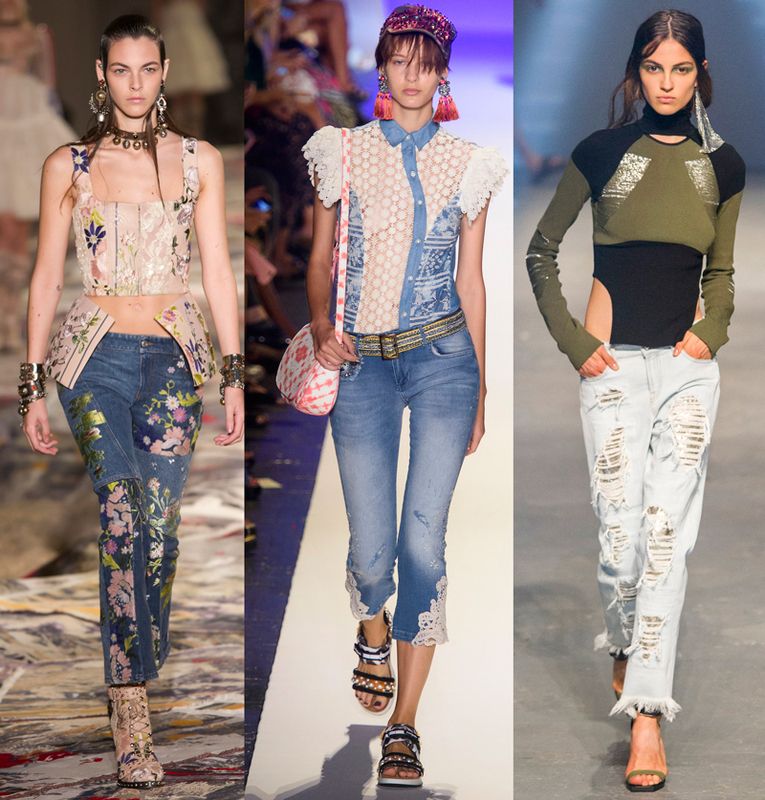 Just when we got used to above-the-belly-button mom jeans and vintage-inspired high-waisted denim, fashion has thrown us an extreme curveball with the resurgence of stomach-baring denim. Spring 2017 runway shows like Tommy Hilfiger, Versus Versace and Desigual featured models with jeans slung low on their hips. For some designers, a super low rise wasn’t enough nostalgia. Roberto Cavalli kicked it old-school with heavy embellishments and bootleg silhouettes. And the look is already filtering off the runways with street style stars and celebs hanging up their skinny jeans and vintage Levi’s for low-rise silhouettes. The good news is, today’s low-rise jeans aren’t worn quite the way you remember in the noughties (no high-cut G-strings here). For one, the new crop of low-riders are decidedly more relaxed. And for those of us who aren’t ready to bare our entire midriff with a crop top, button-downs, bodysuits and T-shirts work just as well. Ready to give low-rise jeans another chance? Scroll through the gallery below for some of the best low-rise jeans to shop now, plus some tips on how to wear them. 6 Jewelry Trends That’ll Be Everywhere This Fall, According to EtsyWho’s Your Celebrity Style Doppelgänger?